Like any other sports, getting loose is very important in golf. It is a warm up before a match or a game. You may have seen athletes rolling their arms and legs before the final sprint. If you visit a sports doctor, he will explain the science behind it. In general, such light exercise helps with the body’s blood circulation. It releases the accumulated nervous tension within the muscles. 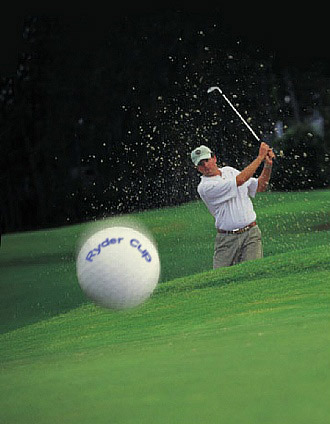 Now golf is not a game of muscles; the mental aspect is more important in this sport. Now loosening up before a game of golf not only calms the nerves, it also relaxes the muscles in the back, shoulders and arms, which are so very important for taking that ferocious swing. Now, whether you are a pro or an amateur, getting loose before golf swing is very important. However, golf tips of loosening up are often confused with getting exhausted. Most people misunderstand the concept and idea behind getting the body loose. It makes a stiff body part loose by releasing the unnecessary tension and stress stored in the muscles and joints. Believe me, getting loose can work wonders for your game and confidence. Top athletes take it very seriously, and never miss out on an opportunity of getting loosened up. Medical science has proved its utility, and by following it, you can play your game freely more than ever. It will help you to keep up with the challenge and competition at the international level. You should devote a minimum of ten minutes time every day for this, for bringing a level of consistency in your game. Women are physically weaker but they have never been weak in intelligence. In spite of gender discrimination, they are successfully cruising in the domains dominated by the males. It has never been easy for women; still they have broken the myths that golf and men are synonymous with each other. 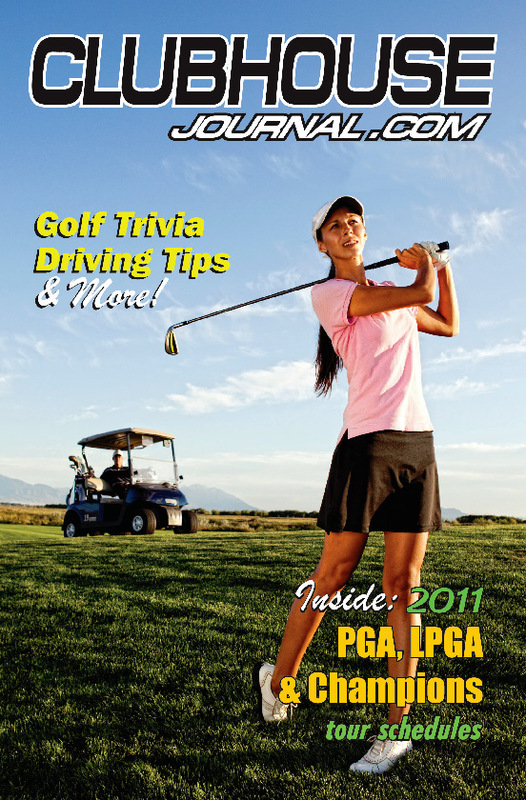 Though the number of women golfers is fewer, but their achievements are no less than those of their male counterparts. The most important fact is that the women golfers are enjoying their games bit by bit. The participation of the female golf players has, no doubt, added to the hues of this thrilling game. Gone are those days when the green turf of golf was a place of rejuvenation for the elitist males. Nowadays, women have their share of enjoyment on the golf turf. But that does not mean that women players are not serious and playing it just for the sake of fun. Instead, they are equally ambitious and aggressive like the male golfers. But more than their golf scores and rankings, it is their colorful attires that invite the attention of those in the gallery. Women are rightly known for their passion for fashion. It is their beautiful attires that add glamour to golf. Apart from attires, golf accessories for women are too designed in dashing style. 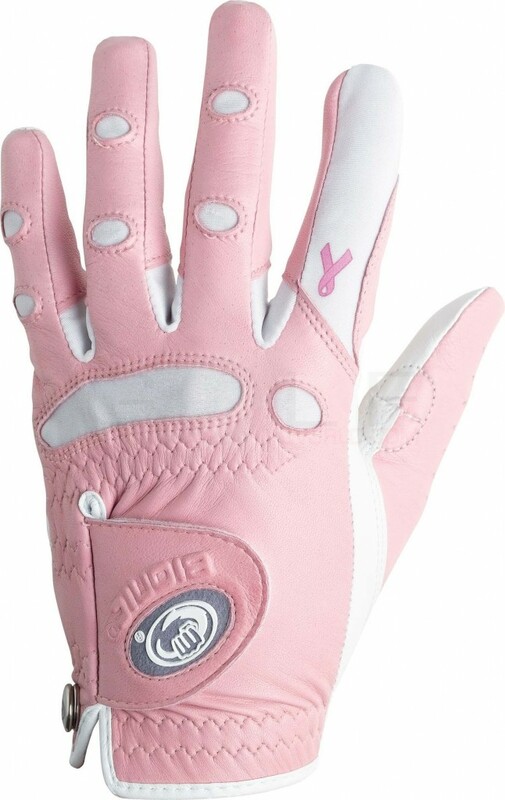 With the number of women entrants rising gradually, the market is teeming with more and more golf gloves manufacturers and suppliers. These gloves come in a wider range of materials, colors, sizes and designs. Golf gloves are necessary accessories to grip the golf clubs. For most of the women, the gloves complete and complement their costumes. But they wear the gloves to protect their tender hands and polished nails too. Some golf gloves use high-quality sweat absorbing materials to keep the palms dry and help them enjoy a better grip. One of the best golf tips is the right gloves bring pinpoint accuracy in the swing. Golf was a game that was considered as a game of amateurs, who were wealthy and entertained themselves through this sport. To change the idea that golf could be for professionals and played in the form of championships and tournaments came much later. 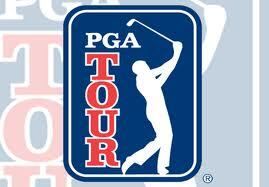 The PGA tours and championships were also organized keeping the same thing in mind. The entry to this tournament is also unique in its own way. Out of the 156 places, 20 places are reserved for golf club professionals. Amateurs have to compete to get into the competition. In June, a club pro championship is held and the top finishers in the tournament grab a slot. •	Members of the European Ryder Cup Teams and the most recent US teams, if they are recorded in the top 100 positions of the Official World Golf Rankings, prior a week of commencement of the tournament. •	From the previous PGA Professional National Championship, 20 low scorers and from the previous PGA Championship low 15 scorers and ties. It is not a little known fact that every sport requires the participants to follow a particular dress code. Having a feel of comfort throughout the game is a must for the players. The elevated level of comfort raises the bar of excellence as far as the player’s performance is concerned. 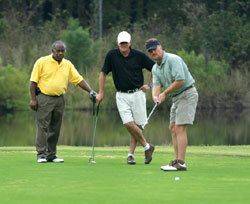 A golfer must stick to the particular golf code as specified by the authority. A golf player, wearing a tee shirt and slippers, is not allowed to make an entry into the green turf. All the players follow a formal dress code from top to bottom. You may have noticed they look smart and dashing every bit! And they must look that way. Golf is no longer a recreational activity for the royals but also a fulfilling profession for ordinary men. Like the other sports persons, the golf players must have practice, patience and perseverance to improve their performance. The wrong attires may have a negative influence on the performance of the players. It is because if the attires provide them little or no comfort, then they will not play freely. Wearing the right attires is an open secret to influence the score of the golfers. As the body and mind are in an intimate relationship with each other, so the wellbeing of one must have positive impact on the other. The suitable and comfortable dress code makes the participating golfers feel relaxed and refreshed; thereby helping them swing it right. The golfers have to walk a long distance to collect the balls. Really a painstaking task, especially when it is too hot! So, here comes the importance of wearing the comfortable suits and it is one of the important golf tips. For men, the formal golf dress code is collared shirts, pants or shorts, golf shoes. Soft spikes must be attached to shoes to prevent the lawn from getting damaged. Women are required to wear collared shirts and Capri pants. They are also allowed to wear skirts but then the skirt must not be more than five inches about the knee. Both men and women can wear hats to protect themselves from heat.